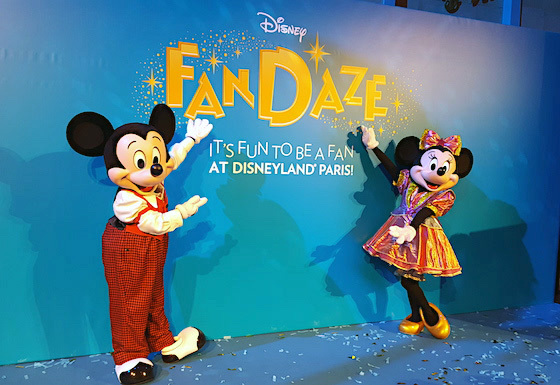 October 6, 2017, 11:59 AM · Marne-la-Vallée, France — Over the weekend, I was invited to a presentation at Disneyland Paris for the launch of a new series of events: Disney FanDaze. Although there's supposedly more to come, the presentation focussed solely on the inaugural 'party' on the first weekend in June 2018. Following a model well-established abroad – and the success of Halloween Soirees of recent years – it'll be an upcharge event featuring one-off entertainments, rare character meets and exclusive food & merchandise options. Promotional material suggests the event itself will be a single night at the Walt Disney Studios Park. Though, given the constant references to a weekend of festivities, I'd expect to see a hotel package pushed as the primary – if not only – option. During the presentation, it was noticeable how many references were made to what distinguishes a "fan." 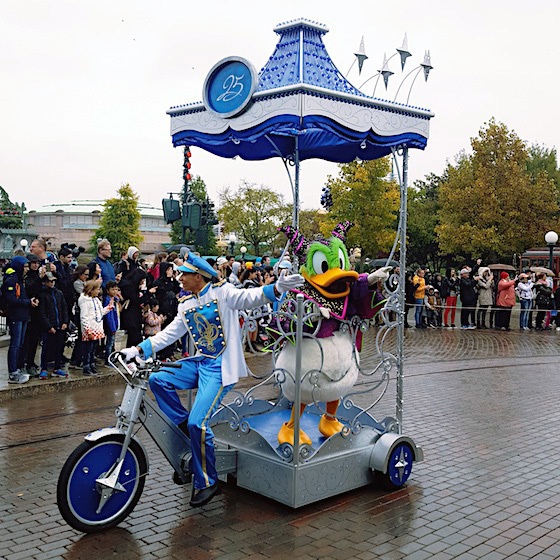 Robert's written well about Disney as a lifestyle brand in the past, and it was clear here that Disneyland Paris are stepping up their attempts to maximise revenue from that. 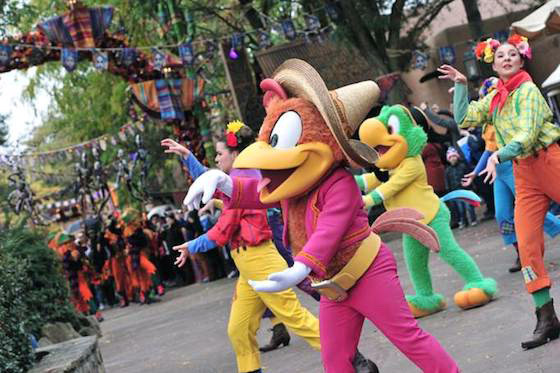 While I was there, I had the chance to check out the Halloween Festival entertainment on its first official day. With 25th anniversary celebrations still in full swing, changes aren't quite so evident at first glance as they have been in previous years. 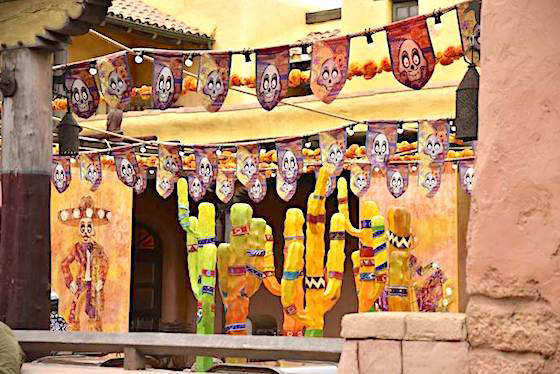 Largely evicted from its recent haunt of Main Street USA, there's a Día de Muertos overlay to part of Frontierland and a couple of small processions. Surprisingly, it's the decorative work makes the biggest impact – a celebration of South American festivity that subtly nudges Pixar's forthcoming release Coco without feeling like pure marketing ploy. Designer Thomas Gallou explained how they took cues "from the traditional roots of South American culture. We created new scarecrows, and each one has its own colourful and realistic costume, as well as alebrijes: brightly coloured fantastical animals." That emphasis on colour comes into its own at night, when the area has a particularly haunting glow. There's even a full mariachi band turning up every so often, bringing the area nicely to life. Taking this locale as influence, Goofy’s Skeletoons Street Party appears seemingly out of nowhere throughout the day, mixing skeletons, scarecrows and the obligatory Disney characters to create an oddball vibe that works surprisingly well. It's not something to camp out for, lasting only a few minutes, but a cute thing to stumble upon – and a fun change of tone from other street entertainment in the parks. So the holding pattern of celebrations and characters continues, for now. But with rumours of a DCA-style Marvel season next summer heating up, a Mission: Breakout clone following that, and unexpected height test balloons over Frontierland, bigger things are looking increasingly near. Does Disney's latest patent show the Guardians of the Galaxy coaster?